A large lying man sculpture with drapes. 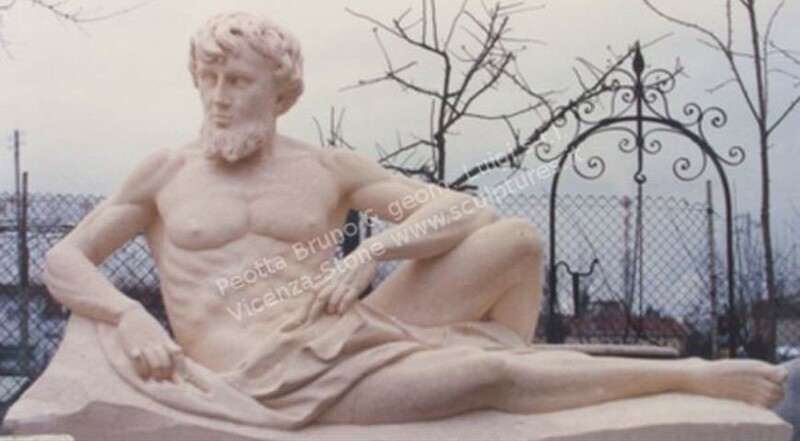 Original one design placed in the Parco Querini in the Vicenza city was carved from Orazio Marinali, the Bernini's influence sculptor (Baroque style). Orazio Marinali (1643-1720), was one of the best exponents of the Venetian style art. Marinali was receptive to the new decorative style that "was to become popular in the 18th century, and was in charge of a successful workshop in Vicenza where his brothers Angelo and Francesco also worked. Dimensions: Height 53" x Width 87" x Depth 35 1/2"